Annual dues are $75 to join both the national organization ($45) and the local chapter ($30). In addition to our spectacular show and tell period, we have a special program at most monthly meetings; e.g., group project, lecture, or demonstration. You are welcome to attend a meeting as a non-member to try us out! We are hopeful that you will decide to join our group and add your talents to the many that our members have to offer. Beginning stitchers are always welcome. 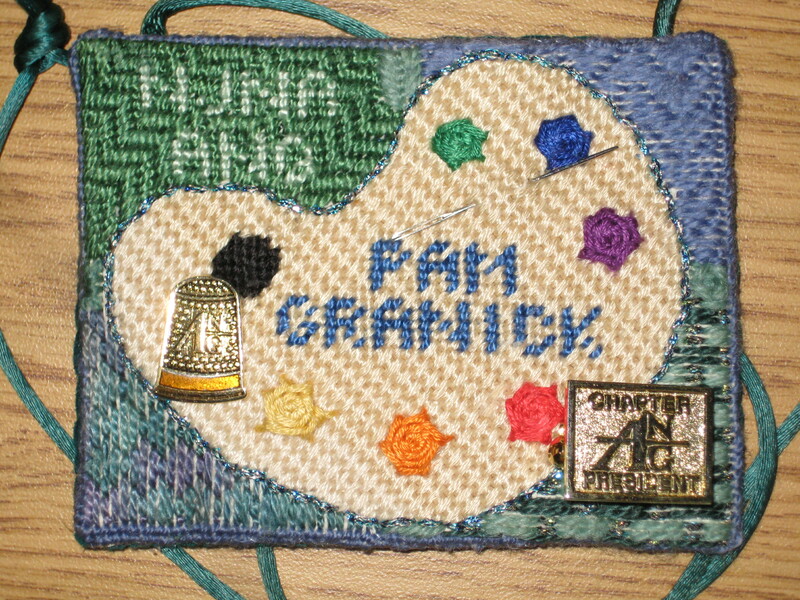 Already a member of American Needlepoint Guild at the national level? Please include your national membership number and pay the local dues only. To join NJNA, please download and print the membership form and send your dues payment to the address on the form. Note that your first year local dues is prorated if you join late in the year; please see the form for details.